If you’re in the spray foam insulation or polyurea coating industries, you know how difficult it can be to clean overspray from safety equipment and applicator guns. Cleanup just got easier with SPF Depot’s own release agent. Apply the release agent to your spray guns and anything you don’t want the foam and polyurea (Linex Bed Liners) to stick to. Ours is the "Original SPF Release" and is made specifically for spray foam insulation and polyurea applicators. After you’re done with a day’s work, simply wipe off the excess spray. There’s no scraping or muscle fatigue needed to clean your spray foam guns anymore. Use the spray foam release agent and polyurethane release agent on your face mask shield; it pays for itself very fast compared to using face shield covers. 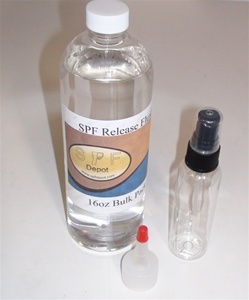 The SPF Depot proprietary, silicone based blend can be used on any surface you don’t want to get dirty. 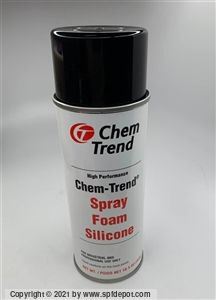 ChemTrend Release Agents for Polyurethane. Mavcoat® Mold Release Coatings for Polyurethane provide highly effective release properties for all cast elastomers, rigid and flexible foams. The coatings adhere to all mold surfaces such as, aluminum, steel, urethane, epoxy, and fiberglass.